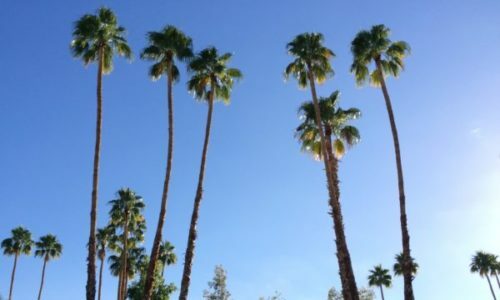 Palm Springs is the perfect Southern California weekend escape. It’s a short-drive away from most SoCal cities, has over 300 days of sunshine each year, and has countless glamorous hotels, restaurants, art galleries, and shops, as well as beautiful hikes, bike trails, and outdoor activities. It has something for everyone. The Parker Palm Springs is classic Palm Springs post-modern glam. 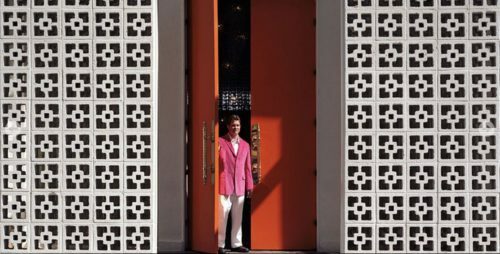 Designed by Jonathan Adler, the hotel is colorful, bright, and incredibly chic. It also has incredible grounds. Set on 13 acres, the complex features restaurants, three pools, tennis courts, a spa and fitness center, and fun lawn games. That being said, the rooms were a bit worn and outdated, and if we were to do it over again, we’d love to try out the Ritz Carlton Rancho Mirage, which just opened in 2014. Palm Springs is the perfect place to relax. Lay by the pool. Book those couples’ massages. Read a good book on the lawn at the Parker. 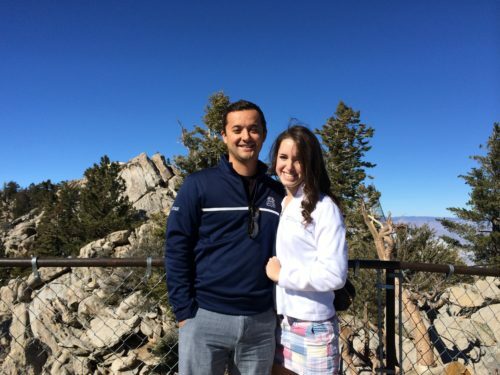 If you’re more adventurous, we loved the Palm Springs Aerial Tramway. The tram takes you two and a half miles over the gorgeous wilderness in the Mt. San Jacinto State Park. At the peak, there are several restaurants, an observatory, and great hiking trails – all with a view of the desert from 8,516 feet! Take a stroll down Palm Canyon Drive – there is great window shopping! We also ventured over to El Paseo in Palm Desert for plenty of high-end stores (we spent some time in Williams Sonoma – our favorite!) and great restaurants (we can’t pass up Tommy Bahamas’ world famous coconut shrimp!). We loved Spencer’s Restaurant for dinner! The restaurant is gorgeous, high-end, and romantic, and the outdoor patio is incredible. We sat outside under the stars with lit lanterns hanging from the trees and a fire pit adjacent to our table. The menu had a wide variety of items – mostly of American cuisine with steak, chicken, and plenty of fish options.